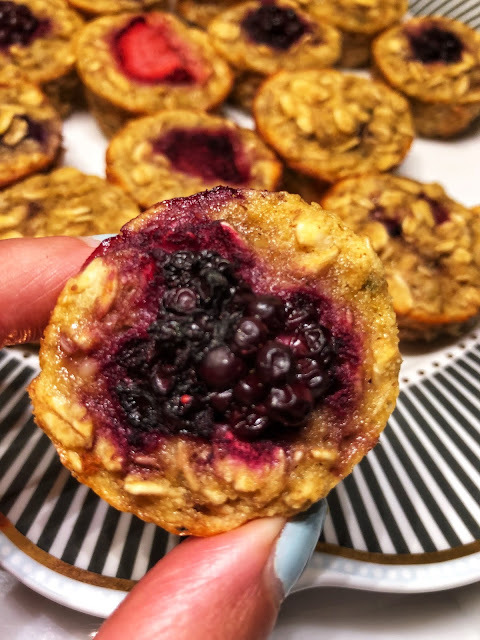 If there is one recipe that I love to recreate over and over are My Fit Life Energy Bites. 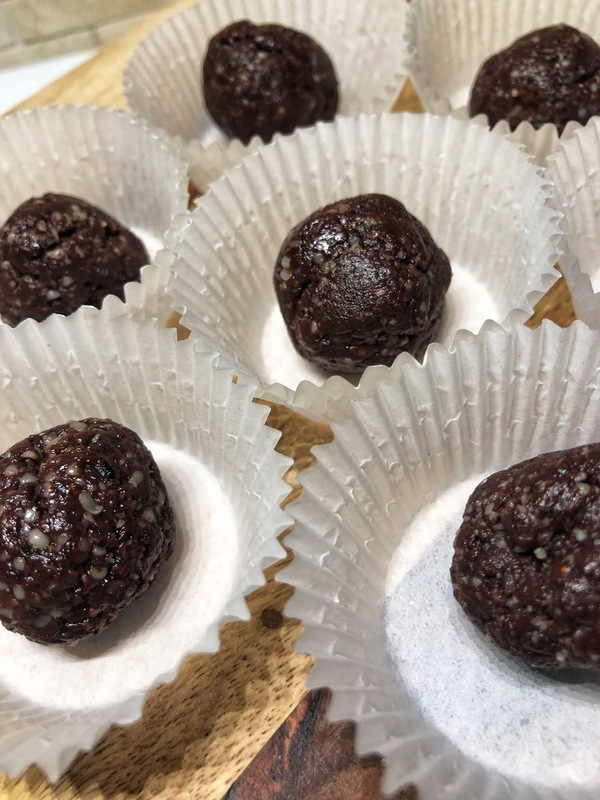 They are a fantastic snack packed with protein, super seeds like hemp, flax, and chia with a touch of sweetness. There are so many ways to make them, the possibilities are quite endless! 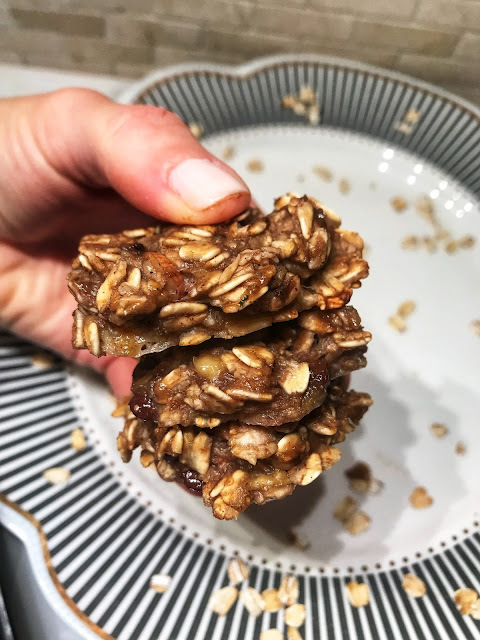 They have become a staple treat that I make every week for my 5:45am circuits class. I know it is not easy getting up in the dark and sometimes the cold to reach your fitness goals - we are a certain breed at this hour I always say! So I like to reward them with my energy bites! I try to get creative each week with the recipe to keep it exciting! 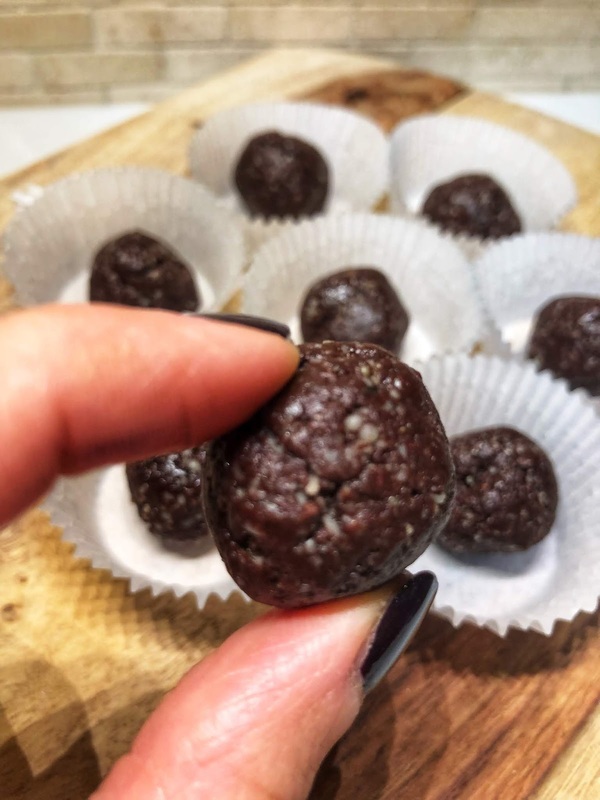 They are usually made with old fashioned oats, but this time I went with cacao powder, freeze-dried blueberries and hemp seeds all held together with coconut oil for this version, making them Brownie Bliss Balls! They taste like little chocolate bursts and I could seriously eat them all! I made a large batch so I got about 21 balls. You can always cut the recipe in half or just freeze the rest - trust me you will eat them! Great for pre/post workout snack or I like to have one when my chocolate craving strikes. The bonus was that my kids liked them too! One more step closer away from packaged treats! 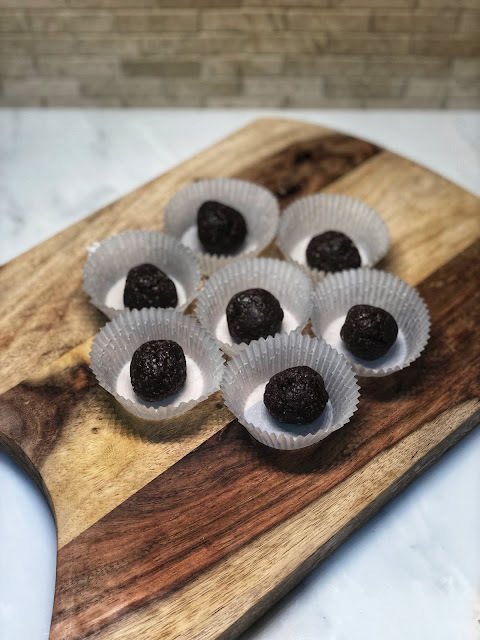 Definitely keep them in the fridge or freezer since they are made with coconut oil and get soft fast. They are small and delish but the calories can pack on fast so I stick with 2 a serving. Plus you want to savor them, right?! 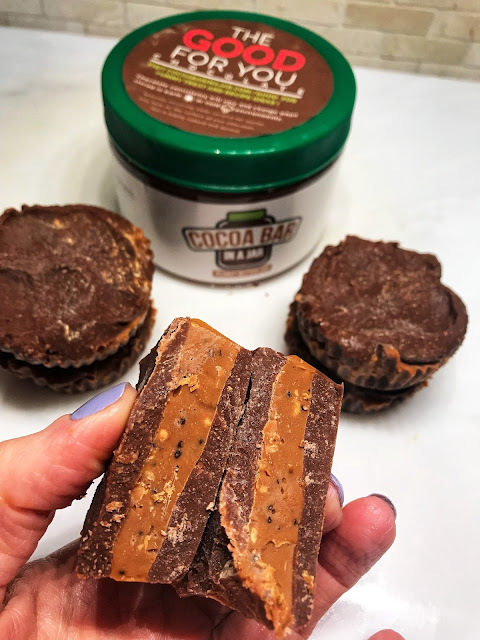 Be sure to share with me on Instagram if you make a batch! I love to hear from you! If you like this recipe and want more, be sure to subscribe back on my home page! You will get a FREE ebook when you do! Awesome, right?! 1. Add all ingredients to a food processor and blend into a paste-like consistency. 2. Shape batter into 1 tsp size balls. 3. Put in fridge or freezer until firm - Enjoy!